Posted on diciembre 21, 2012 by ant. 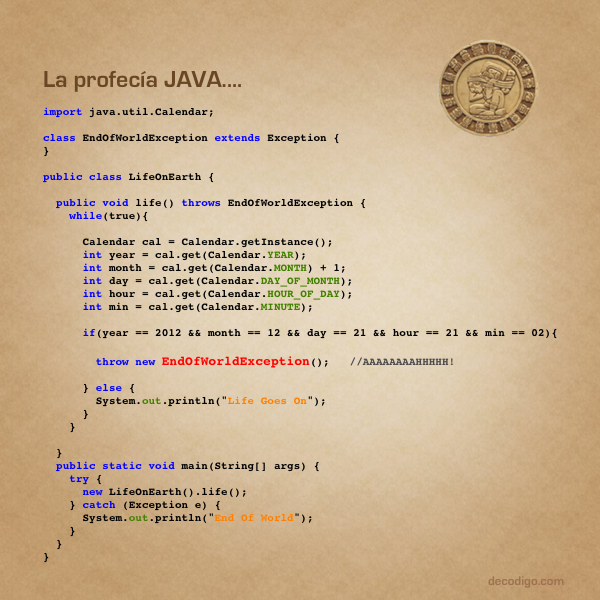 This entry was posted in General and tagged Java, profecia. Bookmark the permalink.